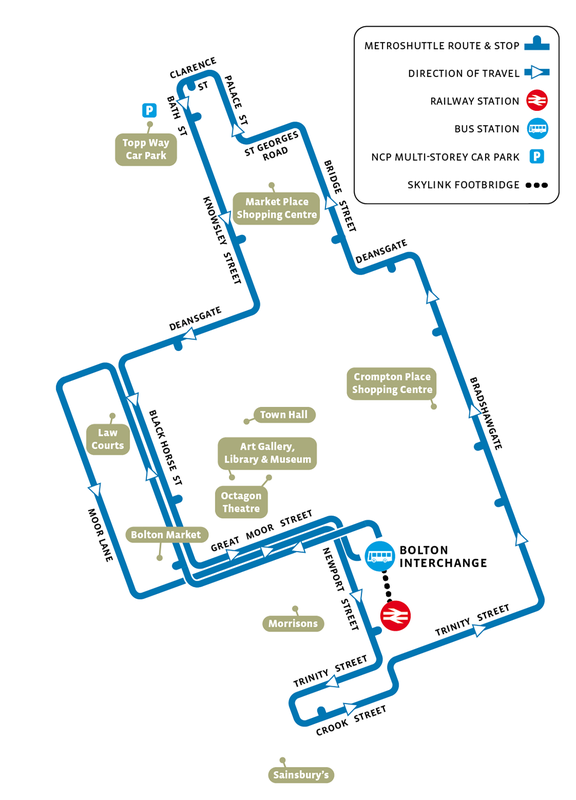 On Sunday 28 October the new look free bus replaced Manchester Metroshuttle. Staying completely free and with later running times, visit our dedicated page for full details. 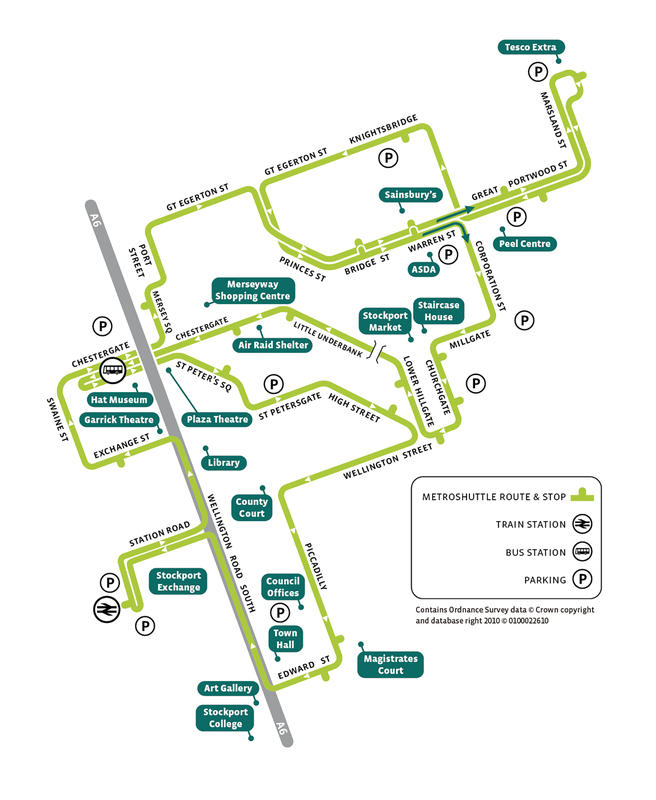 Metroshuttles are free buses linking the main rail stations, car parks, shopping areas and businesses. Metroshuttle services operate in Bolton and Stockport. Bus station; Bolton Interchange; Crompton Place shopping centre; Market Place shopping centre; Topp Way car park. Monday to Saturday: 9am to 5pm, every 15 minutes. This Metroshuttle service is funded by Bolton Council and Transport for Greater Manchester. Rail station; Bus Station; Portwood; Knightsbridge; Bus Station. Monday to Saturday: 8am to 6pm, every 15 minutes. Sunday: 10.30am to 5pm, every 15 minutes. This Metroshuttle service is funded by Stockport Council and Transport for Greater Manchester.